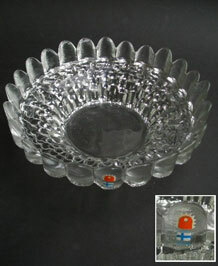 Here is a heavy glass bowldating to the 1970s, by Pertti Santalahti for Kumela glassworks in Finland. It is heavily textured like icicles to the under- side and smooth to the inside. 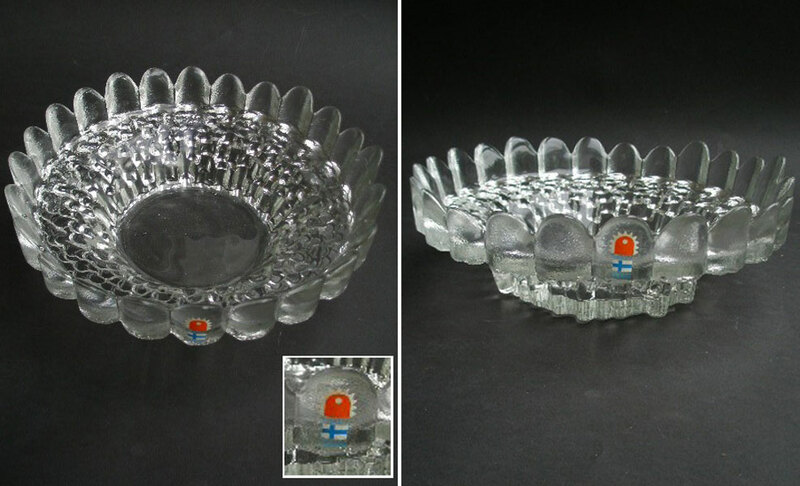 The outer rim resembles petals.This is a stunning piece and looks good on display or in use.It still has the original label stating KUMELA MADE IN FINLAND.